Special Report: Al-Qaeda - On the Brink of a New Wave of Attacks? 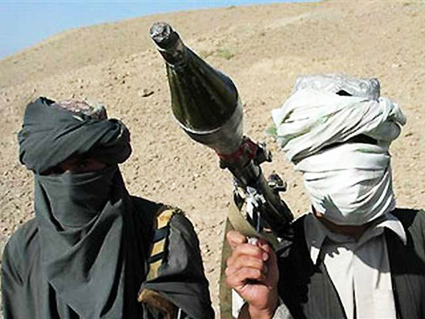 During the recent weeks, accumulated reports suggest that Al-Qaeda's Special Operations unit, responsible for Al-Qaeda's external operations (Outside Afghanistan and Pakistan, aka External operation unit), has been able to maintain, and perhaps even extend its activity in recruiting new operatives, providing designated training for terrorist operations and plotting attacks in the international arena. These indications are significantly important in light of different speculations expressed in recent years as to the unit's incompetence and lack of activity. Al-Qaeda's External Operations Unit has traditionally been the sole arm of the organization to conduct terrorist attacks in the international arena. In fact, the vast majority of “Global Jihad “ spectacular attacks, first and foremost the September 11th attacks, were initiated, planned and executed by members of the unit. Since the elimination of the unit’s chief, the Egyptian Hamza Rabia (December 05), the External Operations unit has faced different hardships. Its last successful attack took place in London on July 2005, and since then all of the unit’s attempts, including an attempt to blow up 15-20 American and British commercial jets (summer 2006) an the attempt to hit London's center and Glasgow international airport (July 2007), have failed. In addition, many of the unit's senior operatives were killed in recent years. Like Al-Qaeda in general, the External Operations Unit suffers from lack of veteran and trusted operational activists who can fill its ranks. As will be discusses later on, even the identity of the current chief of the unit is still unclear, as its former chief, Abu Ubaidah Al-Masri died of hepatitis (December 2007). Al-Qaeda's failures to pursue its own external attacks in recent years stimulated the organization towards increased operational cooperation and even mergers with other Global Jihad organizations around the world. Even if this phenomenon of joining hands for operational purposes is not new,2 the current cooperation is more formal and is a declared policy by Al-Qaeda's leadership. These organizations or "branches", are now subordinated to Al-Qaeda's leadership, and are subject to Al-Qaeda's targeting agenda and directives. Through this means, Al-Qaeda has been able to extend its capability to recruit activists, receive logistical support and remotely conduct attacks in areas where it traditionally found it hard to operate in. The merging group/"branch", on the other hand, enjoys Al-Qaeda's experience, logistical support and training services. Not less important, the merging group is able to operate under the brand name of "Al-Qaeda", which by itself holds different operational and financial benefits.